Isaac's Bookshelf accepts books for readers ages 0-17. If you need some ideas, please consider donating any of the following titles. Auntie's gift card donations are welcome, too! 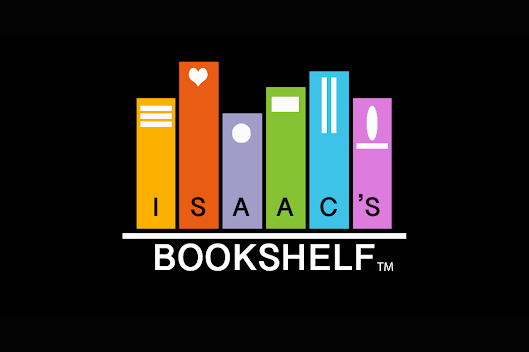 Be sure to include in your order notes that your purchase is for Isaac's Bookshelf and select "in-store pickup" as your shipping option. Auntie's will coordinate delivery of the books to Isaac's Bookshelf. Count down with Pete in this rocking story that makes counting fun! Pete the Cat is wearing his favorite shirt—the one with the four totally groovy buttons. In this lively alphabet rhyme, all the letters of the alphabet race each other up the cocunut tree. Will there be enough room? Oh, no - Chicka Chicka Boom! Boom! "The stars belong in the deep night sky, and the moon belongs there too, and the winds belong in each place they blow by, and I belong here with you. So begins this classic bedtime book, richly illustrated by award-winning artist Isabelle Arsenault. The pages journey around the world, observing plants and animals everywhere, and reminding children that they are right where they belong. God Bless You and Good Night is now available as a touch-and-feel book This beloved bedtime classic has touched more than 315,000 families, and this touch-and-feel edition offers even more fun as little ones prepare for bed.